3 hotels, one unforgettable experience. All offering free entry to O Beach Ibiza when booking directly via ourselves. 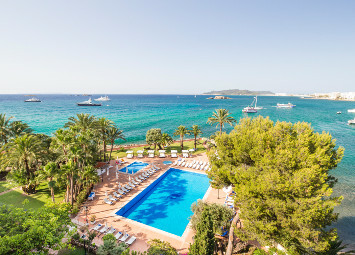 The 4* THB Ocean Beach is the perfect place to stay to enjoy the full O Beach Ibiza package. Next door to the beach club and with spectacular sea views, this hotel is our number one choice. A brand new 4* hotel located in a privileged spot 5 mins walk from O Beach Ibiza and featuring spectacular sea views. 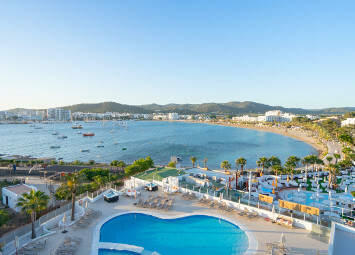 Located in Ibiza Town, this 4* hotel is open all year round and offers the best views and location. Comfortable and stylish, this hotel is world renowned to be the perfect option for those wanting to stay close to the nightlife and beaches on the south side of the island. The minimum stay for those dates is 2 nights. Please extend your duration.